So Glossier kicks off their claims for this product in that it transforms your skin in four weeks. “With daily use, expect cleared acne and blackheads, smaller pores, and reduced redness. Skin’s texture will be smoother and softer, and the fabled glow of balanced, healthy skin will be in full force,” says Glossier.com. Most unique about The Solution ($24) is the combination of acids they used, which is definitely what drew me to purchasing a bottle. 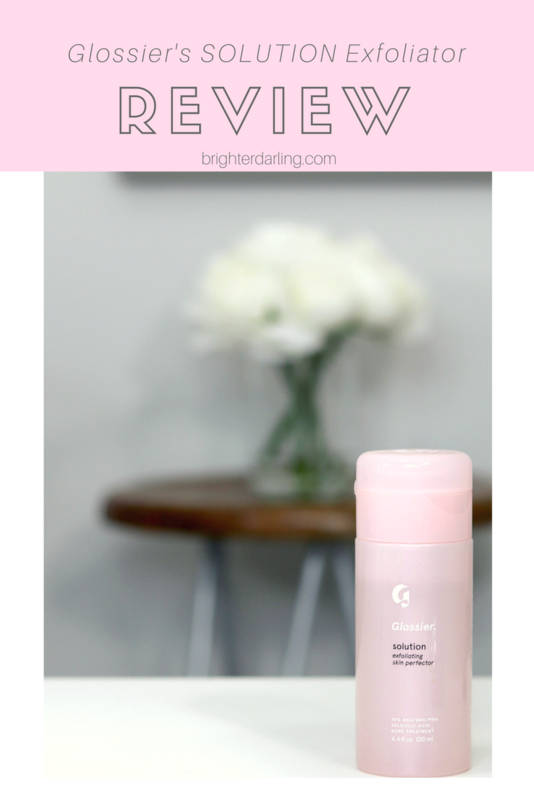 “Solution contains a particular 10% blend of three acid actives for maximum efficacy: Alpha Hydroxy Acid (AHA), Beta Hydroxy Acid (BHA), and Polyhydroxy Acid (PHA),” from Glossier.com. For ease of understanding and overarching ‘chemical exfoliator theory,’ AHAs tend to work best on fine lines/wrinkles and those with drier skin (particularly a Lactic Acid). BHAs work better on those with congestion, larger pores, and acne. A new acid to me is PHA. PHAs are said to be even better than AHAs for those with extremely sensitive skin – say, Rosacea, Eczema, etc. They tend to do a better job at keeping the skin hydrated by binding better to water. They’re also said to calm redness. The most impactful claim for The Solution, I felt, was that 94% of testers said their skin was clearer in four weeks. Overall, the combination of the three acids in this Solution sounded like a force to be reckoned with. 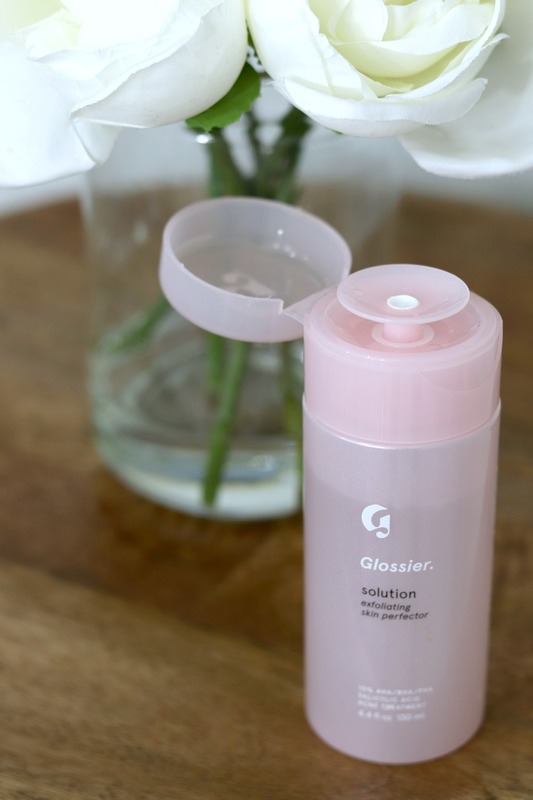 Upon opening the adorable Glossier packaging, Solution is housed in a pretty, shimmering millennial pink plastic bottle with a press-top pump meant to be used as a toner using a cotton round. A pump sounds like a great idea at first, except I’ve found a few people complaining that their pumps don’t work. I think a simple squirt/drop bottle would have been totally fine here and probably saved us a couple of bucks in packaging. 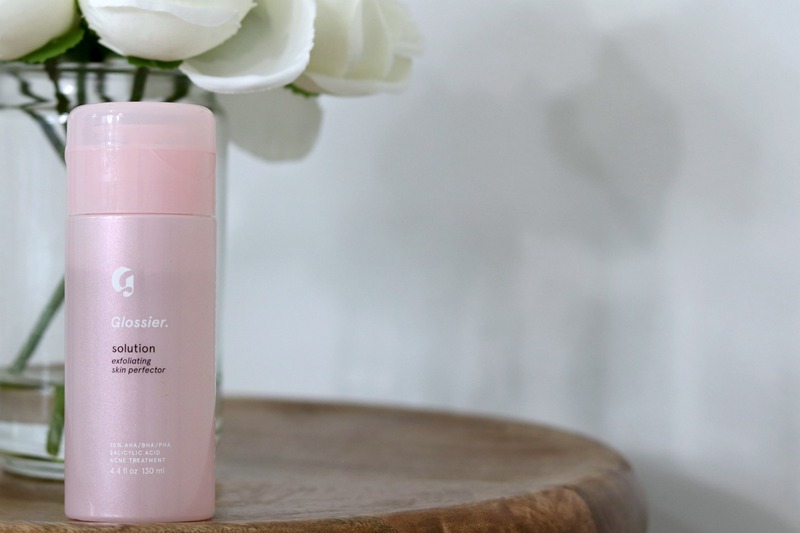 The Solution retails for $24 for 4.4 fl oz and is currently only sold on Glossier’s website (at the time of publication, is on backorder through May 2018). To put this in perspective, Pixi Glow Tonic (AHA based) retails for $15 for 3.4 fl oz, and Paula’s Choice 2% Daily Pore-Refining BHA Toner retails for $33 for 3 fl oz. I subbed out my standard chemical exfoliating toner and began using this one just once a day (instead of the two times a day I use my regular one). The Solution definitely has a slight tingle/burn, like most chemical exfoliators do especially if you are new to using them. This is usually a good thing as it means it’s working to repair/balance your skin. It usually subsides with regular use. Compared to my other exfoliating toner(s), The Solution left my skin with a slight layer of hydration… almost like a very thin film on my skin. After the first couple of days, I woke up with teeny tiny white bumps. They’re not exactly white heads, but a type of breakout I usually get when I’m trying new skin care for the first few days. I can honestly usually wipe them out with a swipe of my chemical toner and they’re gone. After about a week, I started to notice legit breakouts of acne… some slightly cystic which I have not seen in YEARS in my skin. Once I read the full ingredient list (which, tsk tsk on me for not doing that first…), I realized this product has Castor Oil in it. Now, some people may be totally fine with Castor Oil on their skin. However, Castor Oil is known to have extremely strong detox and purging properties to it that some people just cannot tolerate – especially those with very sensitive skin (like me). Dermatologically speaking, Castor Oil should be well tolerated by those with very oily skin as it can be pretty drying since it’s soaking up all of your skin’s impurities and bringing them to the surface. For my fellow pregnant ladies out there, you definitely shouldn’t use The Solution… mainly because of the BHA acid (we don’t know the percentage of BHA vs AHA vs PHA in Solution, and BHA is a no particularly in higher percentages), but also because Castor Oil is a preggy-mama no-no. Overall, the Solution did not work for me and my sensitive, combination/oily skin. I would recommend (if your budget allows for it) getting a small bottle of the Biologique Recherche Lotion P50 (runs around $28 and MY Holy Grail… they also make pregnancy safe versions), or one of the Paula’s Choice AHA/BHA Exfoliants best suited for your skin type. 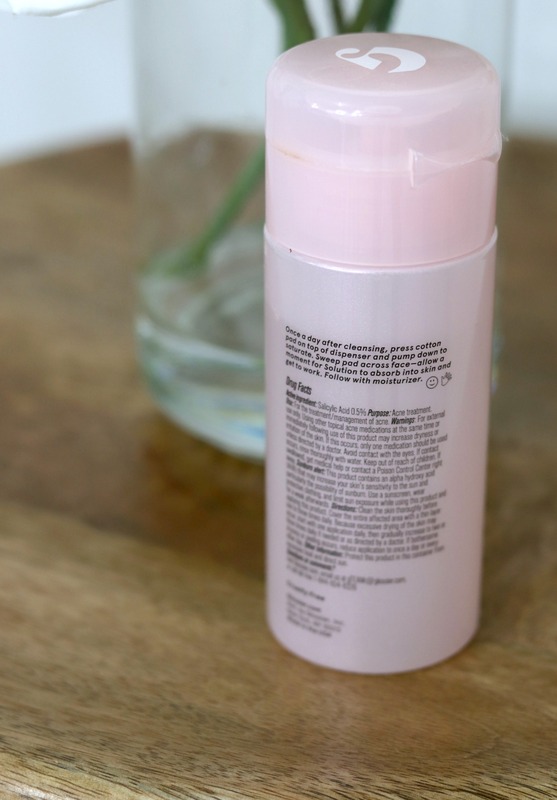 If you’re ballin’ on a budget, the Pixi Glow Tonic is a great place to start (although may not be best for those with more oily/acne prone skin… you would need more of a BHA). Have you tried The Solution? If you’re curious to check it out, you can get it on Glossier.com. If you’re also a fan of chemical exfoliating regularly, let me know what your favorite is in the comments and also, what your skin type is. "Spring Sephora and Ulta Haul 2018"